US retail giant Macy’s has announced it is cutting 2,500 jobs as part of a reorganisation to sustain profitability. The department store chain says it will reassign or transfer some workers and add some positions, leaving its workforce level at about 175,000. The Ohio-based company said it plans to close five stores and open eight others, leaving it with 844 stores nationwide once the changes are complete. 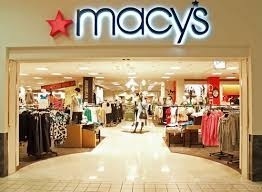 Macy’s says the moves will save the company $100m per year. “Our company has significantly increased sales and profitability over the past four years, and we have created a culture of growth at Macy’s Inc,” said Terry Lundgren, Macy’s chairman, president and chief executive. The announcement comes on the tail of a solid holiday shopping season for the chain. Revenue at stores opened for at least one year rose 4.3% in November and December. The company is optimistic about 2014 as well, saying it expects earnings per share of $4.40 to $4.50. Those figures outperform analysts’ prediction of $4.36 per share, according to FactSet. News of the changes sent Macy’s shares up 5.5% in after-hours trading on Wednesday. Posted on January 9, 2014, in #international, #retail. Bookmark the permalink. Leave a comment.